Where in the World is Bradley: Headed Back to School! 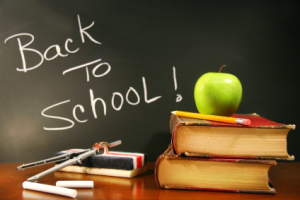 Back to school is right around the corner and that means making sure that you and or your children are ready for the upcoming year. Gathering school supplies, memorizing your schedule and picking out the perfect first day of school outfit is a yearly ritual many students go through. Not only do parents and students have to go through a check list of to-dos before the educational year starts, but schools also do their part by making sure the facilities are up-to-date and safe for students. Offering a wide array of products to fit laboratory, restroom and locker room needs, Bradley is the go-to company that schools across the globe look to for their facility updates. 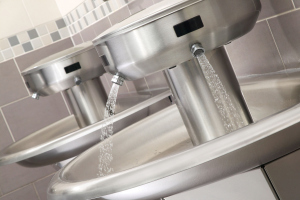 At Grange Technology College - Bradford in West Yorkshire, UK, Sentry Washfountains replaced the outdated and damaged fixtures. Facility Manager, Melanie Royale stated "Sentry Washfoutains are modern looking and a little out of the ordinary, which certainly satisfied the students' requirements. The Washfountain concept also met our need for a heavy-duty fixture and a need to conserve water." In Indianapolis, Indiana, the Washington Township School System took on the challenge to replace paper hand towels with touchless hand dryers throughout the entire school district. After installation of Bradley's Aerix Hand Dryers, Phil Smith, Director of Operations told Bradley "When you look at the big picture, Aerix hand dryers have substantially reduced our facility costs. In just the 18 months that we've used Aerix hand dyers, the reductions we've seen in both electricity and maintenance expenses have been remarkable." Closer to home, there are many schools here in Wisconsin that currently use Bradley products. At the University of Wisconsin - Milwaukee one can find 27 Bradley recessed wall-mounted combination drench shower and eyewash units at the Lapham Hall research facility. 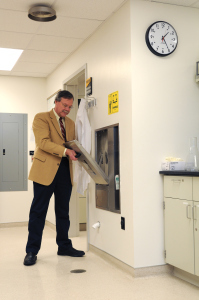 The installation doubled the amount of safety fixtures in the building and the Department of Bio-sciences can rest assured that their students are safe. In Menomonee Falls at St. Mary Parish School all restrooms on the first and second floor were completely gutted to make room for a brand new design. The school installed Bradley's Express Lav System instead of traditional china sinks. David Ciepluch, Director of building and grounds stated "I would definitely encourage facility managers to go the Bradley route. The benefits of a group hand washing system far outweigh installing individual wall-hung china sinks." 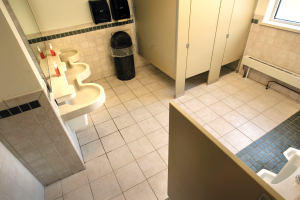 Whether it is across the globe or right here in Wisconsin, Bradley Corporation has helped many schools, colleges and universities keep their washroom facilities clean and "green."